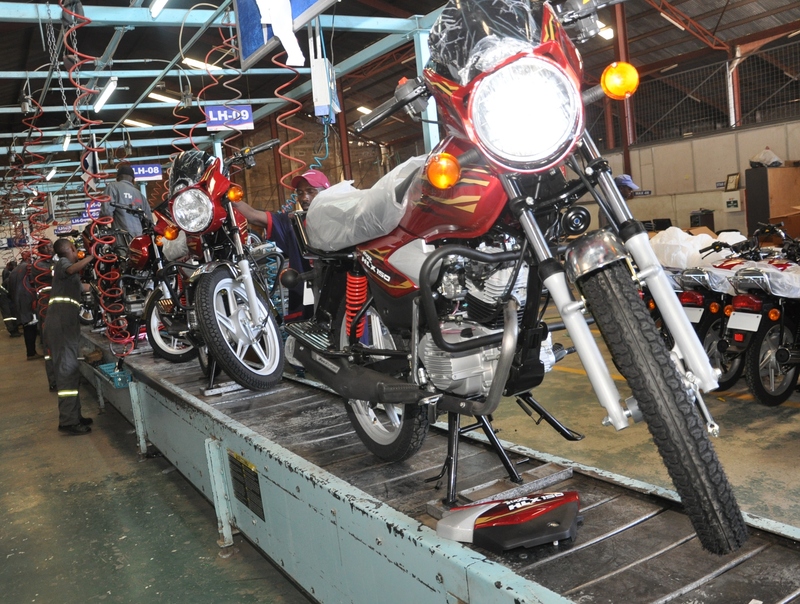 From the inception of the Car and General assembly plant in Nakuru the Company planned to expand the output of the facility to meet the increasing demand for TVS motorcycles. Initially the facility was used to train the factory workers and production started with 30 motorcycles each day. Following the installation of a moving assembly line output has grown steadily and currently stands at an average of 200 machines each day with the facility producing 4000 in a month. TVS factory personnel from India visit Kenya regularly to check the operation of the plant and guide further development. Workers are stationed on both sides of the line and use air tools preset to the required tension for each nut and bolt. Components are unloaded from boxes and are placed where they are needed. The assembly starts with a bare frame and ends with a complete ready for the road motorcycle leaving the assembly line every two and a half minutes during the working day. The first step is the placement of the steering, basic controls and shock absorbers followed by the rear suspension. Later the engine and gearbox unit is installed and before the line moves forward a careful check is carried out to ensure that the engine and frame numbers are correct. Fitting the front suspension and the rear wheel comes next and the final tasks are placing the fuel tank and headlamp. Then the finished motorcycle comes off the production line the machine is taken for pre-delivery inspection (PDI) which includes filling a small quantity of fuel in the tank for an engine check. After PDI motorcycles are moved to the delivery yard where they are collected for trucking to Car and General branches, dealers in Kenya and beyond. At present, the local content consists of footrests, stands, and crash guards. 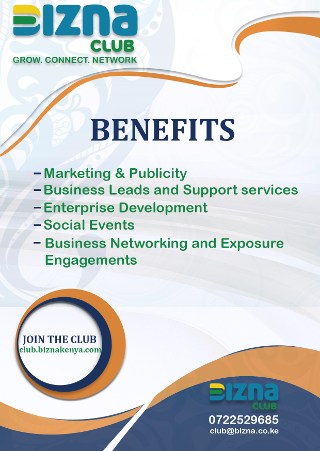 The company has a policy of increasing this with the long term objective of making complete motorcycles in Kenya. There is very little staff turnover, but when vacancies occur applicants with some technical experience are engaged and trained for assembly line work. A new employee starts by unpacking components and learning to place them at the appropriate point along the assembly line. This gives the individual the knowledge of all the parts required to make a motorcycle. Later the trainee is positioned at an assembly point to work under an experienced colleague before taking responsibility for assembly duty.